Joseph W. Slattery III, M.D. discs, we are able help you. 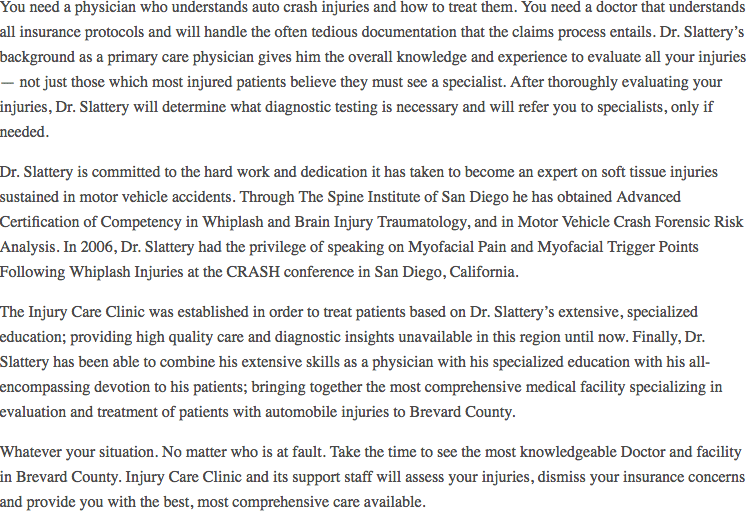 INJURY CARE CLINIC – JOSEPH W. SLATTERY III, M.D. Do Airbags Help Reduce Whiplash?